San Francisco, CA – April 26, 2017. San Francisco’s leading orthognathic surgeon, Dr. Alex Rabinovich, is proud to announce a new blog post on the topic of jaw surgery and second opinions. Jaw surgery may require several procedures, but once the process begins, the work must move forward and not backwards. For this reason, the new post highlights the importance of research and second opinions before embarking on jaw surgery. To read the new blog post go to https://www.oralsurgery-sf.com/2017/03/jaw-surgery-skilled-work-need-best/. Orthognathic SurgeonInformation regarding orthognathic surgery and other oral surgery procedures in the Bay Area can be found. Those actively looking for jaw surgery options in San Francisco are encouraged to visit https://www.oralsurgery-sf.com/jaw-surgery/. State-of-the-art 3D Scanning can now offer a more precise view of jaw issues and the best treatment for surgery. Details regarding the importance of procuring a second opinion from a highly qualified jaw surgeon in San Francisco can also be reviewed. If a Bay Area resident is considering jaw surgery, finding an oral surgeon with a state-of-the-art clinic may be on the list. Choosing an expert orthognathic surgeon already at the top of the jaw surgery field may also be desired. For this reason, Dr. Alex Rabinovich, a leading San Francisco oral surgeon, specializing in jaw surgery has recently announced a new post about second opinions. 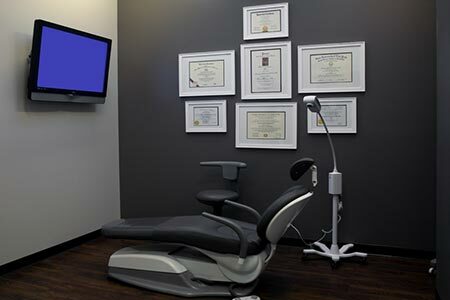 High-tech medical equipment such as 3D imaging have changed the world of oral surgery. Bay Area patients requiring orthognathic surgery have access to better more precise surgical plans. Yet, high tech equipment can still be upgraded over time. A highly-skilled San Francisco jaw surgeon should offer patients state-of-the-art skills every time. Patients cannot afford to be treated like prototypes. If a Bay Area local suffers from the pain of a broken or fractured jaw, or other disability, the work must be given a thorough review by a highly-trained jaw surgeon before a procedure can begin. Dr. Rabinovich reminds the San Francisco locals to seek a second opinion from a top-rated orthognathic surgeon to help confirm the correct path to a successful jaw surgery. Dr. Alex Rabinovich, a top-rated orthognathic surgeon in the San San Francisco, Bay Area is a Board Certified Oral Surgeon. Additional training in maxillofacial surgery along with years of experience in jaw surgery and dental implants, sets Alex Rabinovich MD DDS apart from other orthognathic surgeons. San Francisco Dental Implant Center has invested in state-of-the-art oral surgery technology such as 3D imaging to offer the most precise view of any jaw deformity and how to treat the issue. Corrective jaw surgery can require an anesthetic and overnight stay. San Francisco locals considering meeting with a jaw surgeon can meet Dr. Rabinovich for a complimentary consultation. Persons interested in dental implants should visit his specialized dental implant website at http://www.sfdentalimplants.com/. San Francisco Dental Implant Center serves the San Francisco Bay Area including Palo Alto, San Mateo, Redwood City and Mountain View. This entry was posted in Blog and tagged Jaw Surgeon San Francisco, Orthognathic Surgeon San Francisco, San Francisco on April 26, 2017 by Dr Alex Rabinovich.